Boardman has in-house rolling capabilities up to 3.5”. This capacity allows us to roll cylinders for our own use as well as for local fabricators who also look to us for their rolling needs. Our under hook height allows us to roll cylinders up to 16 foot diameter. We have a smaller plate roll on site that allows us to roll the smaller diameter, thinner walled cylinders. 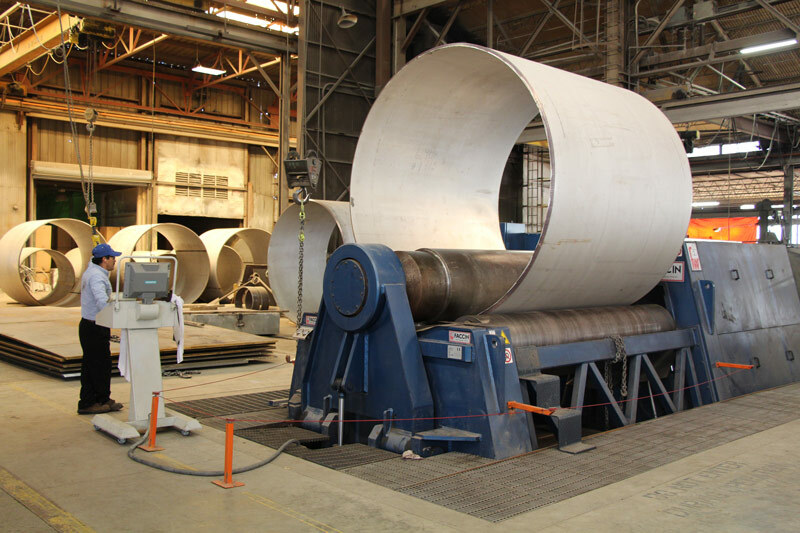 Having the plate roll capabilities in-house ensure our cones and cylinders are rolled to Boardman’s quality standards, which are the highest in the industry.